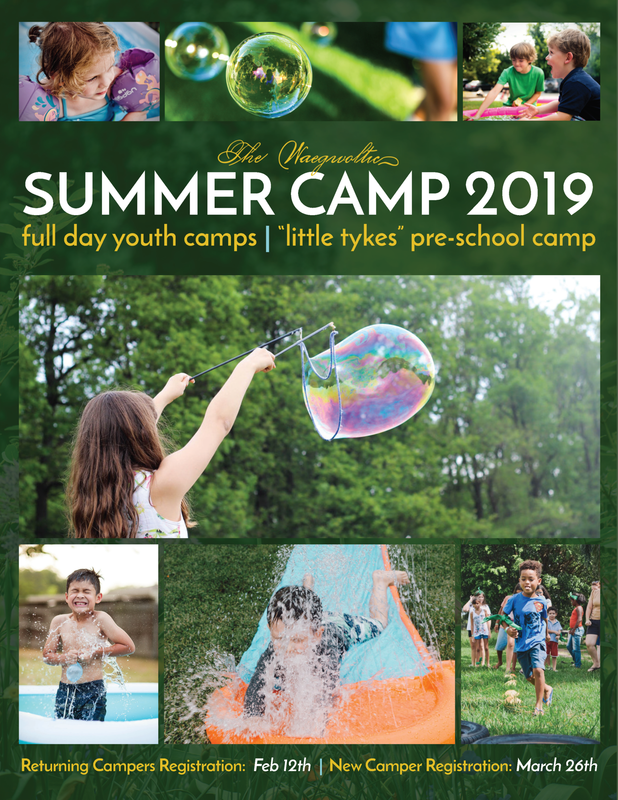 CLICK HERE for our 2019 Summer Camp Guide! Check out our 2019 Summer Camp Guide! For more information on our programs and registration, contact Program Manager Katelyn Matheson at katelyn@waegwoltic.ca or at 902.429.2822 (ext. 2). Have a child in camp this year? Each spring, we publish a new "Camper Parent Guide" to keep parents informed about what to expect. Below is our 2018 version! The countdown begins! Sign your child up for the best that The Waeg has to offer! Our truly unique summer camp experience offers parents the peace of mind that comes with knowing their kids are active, engaged and having a blast in a safe, fun environment. Our young campers spend their day with a mature and caring staff who have a passion for working with children. Drop them off in the morning, pick them up at the end of the day, and we’ll take care of the rest! We strive to be partners with our parents as we help their children grow and thrive. And, we try to make summer camp convenient for parents, too! Our complimentary early drop-off and late pick-up, in-house lunch plan options, and add-on swimming and tennis lessons are just a few of the perks that make our summer camp programming the best offer in Halifax. We provide children with the opportunity to connect with the great outdoors, to participate in human-powered activites, and to benefit from the personal connections they make with our staff and our campers. There is a true sense of family and belonging that is fostered through the welcoming, generous nature of our campers and counselors at The Waeg who strive to provide campers opportunities to participate in what they love while taking on experience and challenges. Your child will make the best use of our sprawling facilities, with afternoon dips in the Lido, active games in Fairfield, outdoor crafts, and more! Each week, there’s a new theme, and they’ll have the chance to make new friends and new memories. 5) The opportunity to Participate. Furthermore, all of our staff are supervised by two Camp Coordinators who report directly to Katelyn Matheson, our senior administrator of programming and recreation at the Club. In addition to our core staff, our summer camp also benefits from the supervision of our 30+ fully qualified lifeguarding staff. For more information about High Five®, visit www.highfive.org, or contact Katelyn Matheson, our Program Manager, at katelyn@waegwoltic.ca. Camp Waegwoltic runs from 8:30am - 4:30pm. Camps run for children ages 5-11. Groups will be broken down into age appropriate categories. Capacity for all Waeg camps is 70 children/week. Camp ratio for children to counselors is 10:1. • Membership fees must be paid in full prior to registration. • Members must pay in full at time of registration for all programs for which they are registering. • Payment can be made with cash, credit, Visa, MasterCard, or debit. • No spot will be held for any amount of time without payment. if you are registering in-house, you will be required to sign a policy document.